We offer a superior product line that ensures your glassware, dishes and cutlery is always sparkling clean. 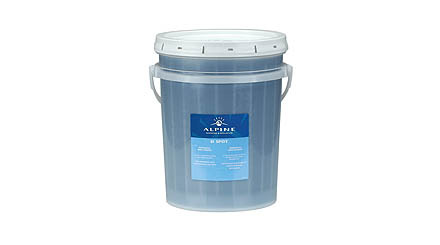 A viscous pot and pan detergent that penetrates and suspends grease and soils. 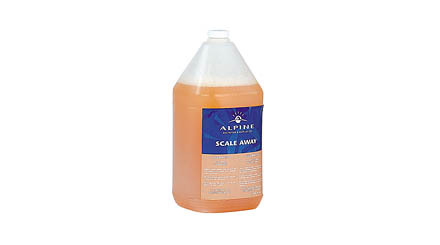 High foaming formulation that's gentle on hands. A mild, pleasantly scented, highly concentrated manual warewash solid containing highly effective emulsifiers and grease cutters and yet mild on the hands. 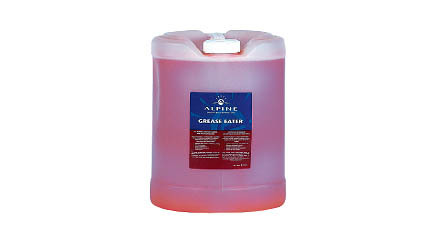 A unique formation of surfactants combined with grease cutting agents for a tough-on-grease, high sudsing pot and pan cleaner that's also easy on hands. Soft on the hands, lemon scented pot & pan detergent based on surfactants that deliver a high level of sudsing action, combined with superlative grease cutting action. Sophisticated quaternary formulated sanitizer for use in 3 sink manual warewashing or hard surface sanitizing. 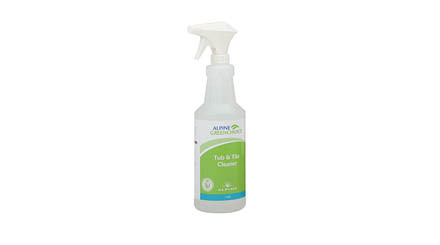 Excellent sanitizer for restaurant tables which is odourless and tasteless. 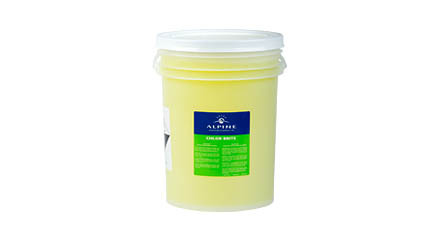 Superlative grease cutting formulation with long lasting suds for the toughest pot and pan jobs. Soft on hands. Cuts through the toughest grease on dishes, glasses, pots and pans. 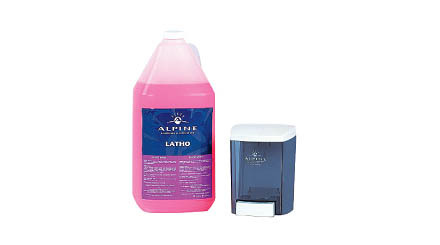 Alpine has a range of safe, foolproof chemical dispensing systems that help you manage costs and gain control over cleaning costs. Our solutions ensure a precise blending of cleaners and sanitizers to produce optimum results, while ensuring employee safety in handling products. 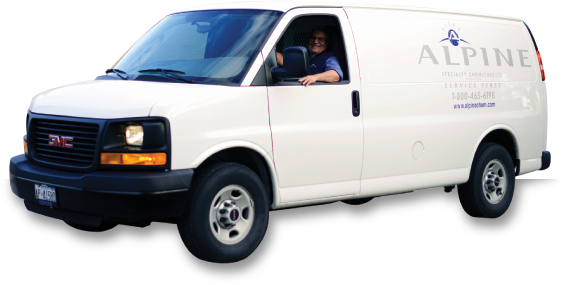 It’s the best of both worlds: safety and cost savings. Contact Alpine for more information. 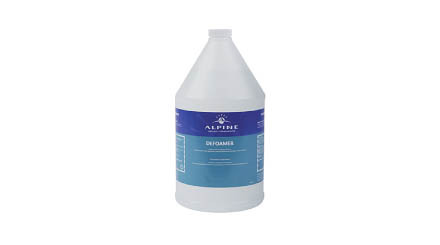 A combination of biodegradable ingredients with food grade acid, produces a specialty rinse additive for extreme hard water conditions. 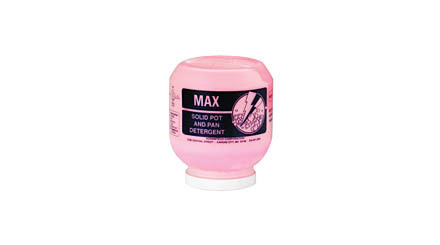 Concentrated liquid detergent formulated to strip away food soils, while special metal protective ingredients prevent damage to aluminum and other soft metals. 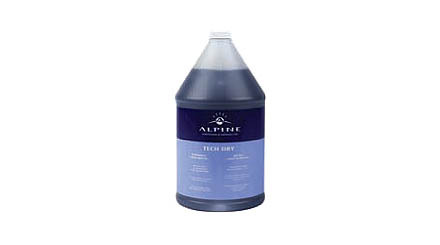 A sophisticated blend of surfactants and alkaline ingredients combined with chlorinated time release agents that produce a powerful stain removing liquid detergent. 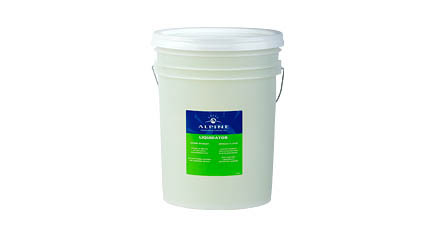 A chlorinated powdered compound that has tremendous emulsification abilities. 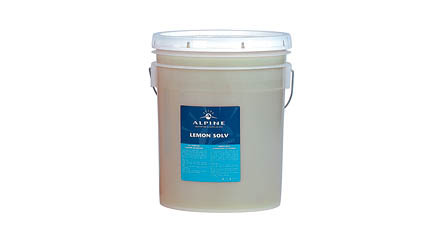 Can be used as a scouring agent and presoaking solution for cutlery. Great soil cleaning and grease cutting produced by this concentrated formulation. 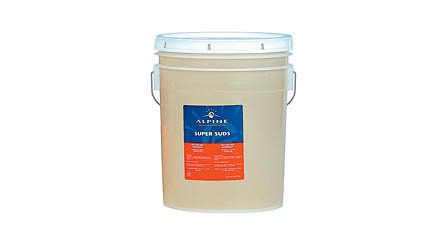 Super concentrated liquid machine detergent for a broad range of soils. Sophisticated alkaline surfactants rapidly strip away tough soils, grease and water film. 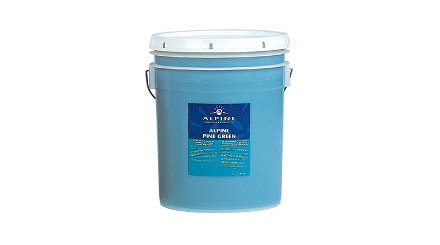 An economical formulation of chlorinated alkali compounds that works well in a wide range of applications, encapsulated for automatichopper feed. Concentrated high level alkaline detergent formulated specifically for optimum results on glassware in mechanical dishwashers. 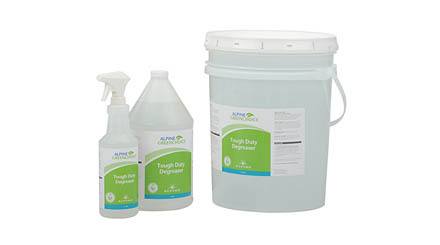 Advanced detergent formula with concentrated active ingredients for the toughest soil and water conditions. Unique rinse additive formulated for use with Confidence glasswasher detergent, which leaves glasses film- and spot-free. 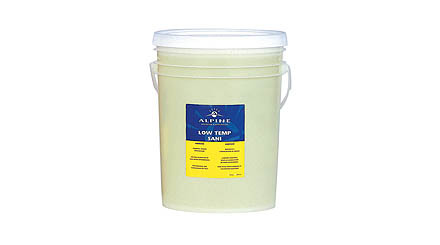 Specially formulated for medium hard water and soil conditions. Fast sheeting action saves time, eliminates spotting on all wares. A sophisticated blend of chelating agents, defoamers and builders to produce an economical detergent capable of handling the toughest soil loads and water conditions. Iodaphor sanitizer for use in bar glasswasher and pot and pan sinks. Low foam formulation. Designed for pre-soaking and detarnishing flatware. Activated with dual Enzymes and surfactants to rapidly penetrate hardened food soils and removal of discolouring film. 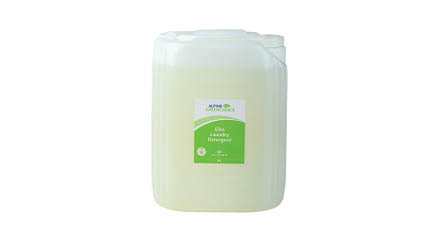 Liquid machine detergent designed for today's energy efficient machines. 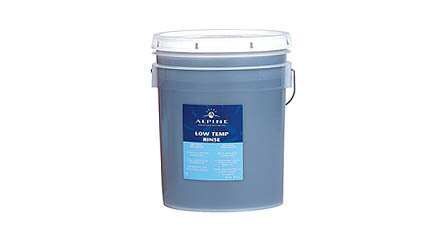 Tough on soils and packed with water conditioners to provide squeaky clean results. Excellent sheeting for quick drying action. Effective in varying water conditions. Energy efficient dishwasher and glasswasher sanitizer. 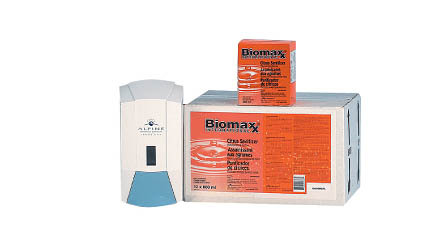 Stable formulation for long life and broad-spectrum kill of bacteria. 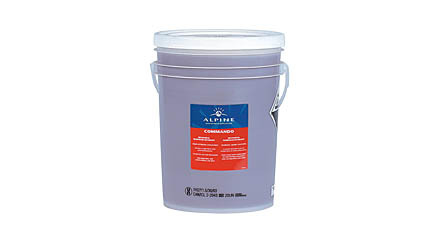 Super concentrated liquid machine detergent for a broad range of soils. Sophisticated alkaline surfactants strip away tough soils, grease and water film rapidly. A free flowing non-caking powder that incorporates wetting agents with anti-redisposition additives to soften and remove food soils from all types of wares. 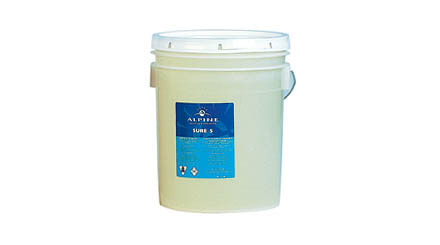 A non-chlorinated compound, highly alkaline, caustic blend that has tremendous chelating abilities. 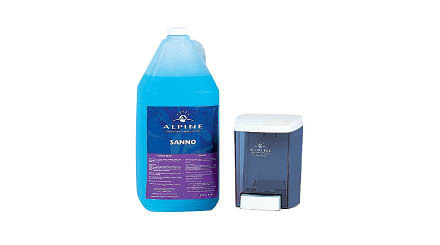 This detergent works well in a wide range of conditions and is particularly resilient in high temperatures. 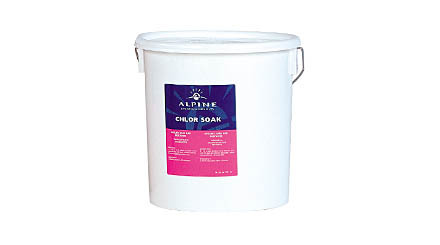 A chlorinated formulation including buffered alkalinity that provides an effective emulsifier for soaking wares. Fast acting, versatile, drying agent leaves cutlery wares and glasses spot free. Highly concentrated biodegradable ingredients blended in a unique method that produces a versatile rinse additive. Spotless levels out water condition variations ensuring optimum results. 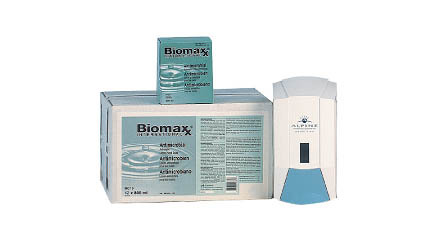 Chlorine sanitizer formulated for use in all water conditions. 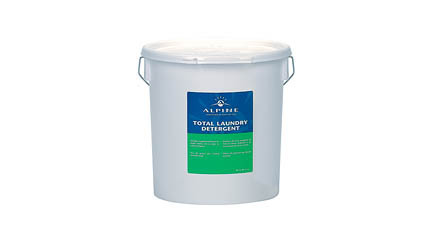 Concentrated liquid detergent to clean effectively in a wide range of conditions. 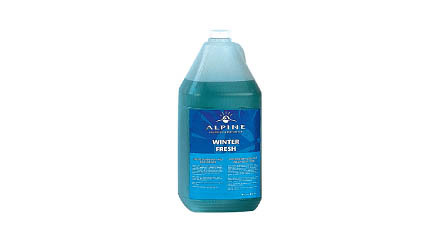 Streak free rinse additive for most water conditions. 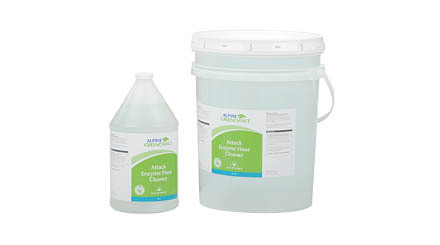 A combination of alkaline and chlorinated ingredients make this an effective soil and stain remover for under counter dishwashing applications. There is no better way to clean your kitchen than with our superior range of products. evolutionary viscous degreaser formulation that quickly cuts through grease and soil to leave surfaces sparkling clean. A combination of alkalinity, organic sequestrants and anionic surfactants make this a potent grease and carbon remover for those baked on greasy stoves and grills. Also may be used as a degreaser for floors. A combination of anionic surfactants, petroleum distillates, alkaline ingredients make this a very effective degreaser for quick cleaning. Thick paste-like gel, highly alkaline formulation that paints on to oven and grill parts for the removal of stubborn carbonized materials. Organic solvent based fortified with sequestering agents and emulsifiers produce this unique detergent for those tough cleaning jobs, even removing dirt blocked in by grease or soap scum. A combination of acids provides a most powerful, yet safe to use deliming agent for those tough jobs. Removes scale that other products won't. Sophisticated blend of alkaline ingredients with biodegradable surfactants to produce an extremely rapid carbon and grease remover. Made for fryers of all types. A ready to use product that is easy to use and cleans effectively. 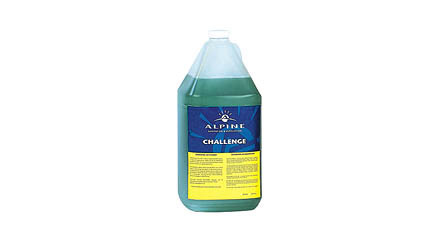 Natural solvents and emulsifiers make this as aggressive all purpose cleaner degreaser that removes even the most difficult soils. 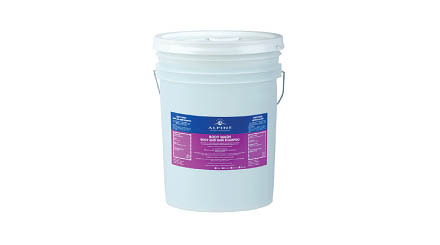 Organic salts combined with sequestering agents produce this unique deliming agent that is completely safe to use. Powerful enough for scale removal on heavily soiled areas. A concentrated formulation to provide safe dissolving of calcium deposits on metal surfaces. Ready to use for sanitizing non porous hard surfaces such as walls, floors, metal surfaces, stainless steel, porcelain, glazed ceramic tile, plastic, bathrooms, countertops, shower stalls, tubs and sinks. Concentrated biologically based cleaner degreaser for heavy duty cleaning and degreasing applications. 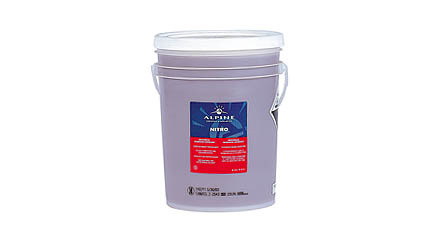 A pH balanced product that is safe for most surfaces. Can be used with hot or cold water. Our electronically controlled systems provide job specific formulations that can ensure bright, fresh and clean textiles while reducing inventory and eliminating waste. A revolutionary emulsion detergent formulated and manufactured through a pasteurization process to produce an effective detergent on extreme grease and oil stains for textiles. Supercharged pH booster for alkalinity. Provides extra punch for deep cleaning and prevents discoloration and dulling of fabrics. 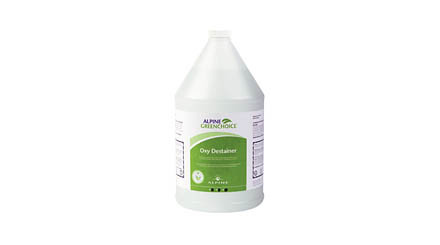 A unique formulation designed for use on organic stains such as grease, oil and tomato juice. Safe for use on most fabrics. 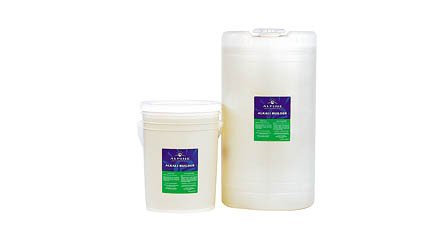 Concentrated chlorine bleach for whiter fabrics. Formulated for optimum results. Concentrated surfactant based fabric softener with optical brighteners. Eliminates static cling, while leaving a soft luxurious feel. 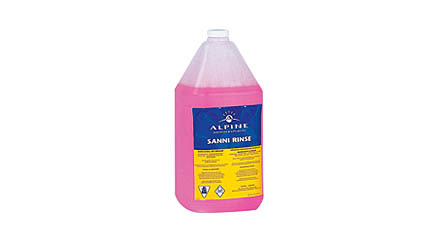 Acidic based product to leave fabrics in a pH range agreeable to human skin. Reduces yellowing. Liquified starch formulation to produce a crisp feel for natural fabrics and blends. Dissolves completely. A concentrated blend of mild acids formulated to neutralize residual alkalinity and control of iron in the water supply. 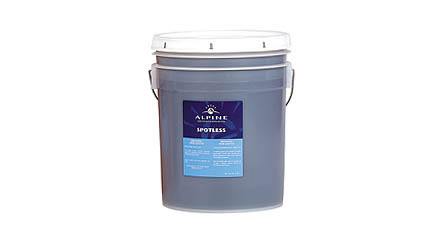 Powerful prespot product formulated for removal of stains in all water conditions. Mild on the hands, and safe and effective on most fabrics. Specialty acid formulation for neutralizing the pH of fabrics while controlling rust present in water conditions. 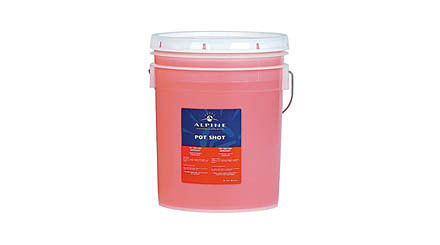 Sophisticated heavy-duty detergent with excellent sudsing capabilities that is tough on soils. Manufactured with optical brighteners for vivid clean textiles. 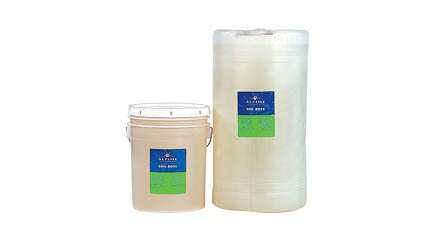 Heavy-duty one shot built detergent with added brighteners and water conditioners to produce clean bright fabrics in front or top loader washing machines. X-TREME is the complete detergent in every respect. 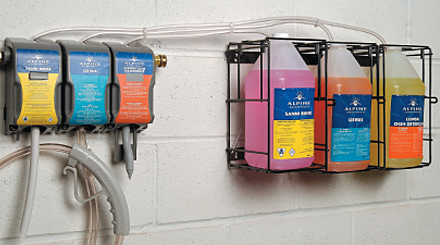 It contains a unique combination of water softeners, enzymes and surfactants along with an activated oxygen bleaching system that provide washing, bleaching and stain removal in a single wash cycle. Specially formulated with powerful biological stain fighting ingredients that penetrate, loosen and eliminate the toughest stains (greasy foods, grass, and tomato sauce) among others. Works in all temperatures. 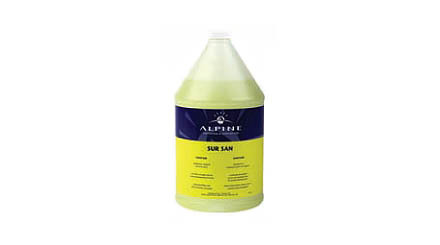 A synergistic blend of anion and non-ionic surfactants, brighteners and water conditioning agents which provides deep penetrating detergency, effective for a wide variety of soil classifications and fabric types. 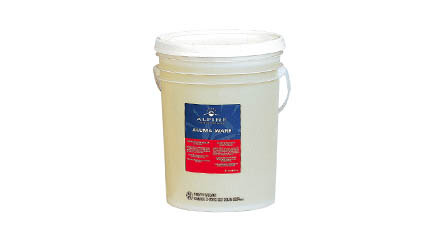 A concentrated and stabilized chlorine bleach for effective and economical stain removal. A heavy duty, liquid alkali designed to provide the highest possible boost per ounce than regular alkali solutions, synergistically removes heavy industrial petroleum soils and food based greases and oils. A concentrated blend of high active surfactants designed to emulsify oils and greases and the removal of animal and vegetable type soils. An efficient pleasant fragrance to eliminate odours occuring in laundry applications. A concentrated colour safe oxygen destainer, whitens and brightens while effectively removes stains and minimizing damage to fabrics. A liquid polyester starch, provides a crisp feel for natural fabrics and synthetic blends. A concentrated industrial strength detergent emulsifier effective for the removal of fats, oils and greases on polyester and polyester blend fabrics. A concentrated liquid fabric softener, provides a soft touch and reduces static electricity to cotton and cotton/polyester blends. 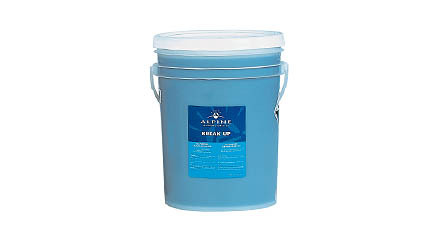 A concentrated blend of mild acids formulated to neutralize residual alkalinity and control iron in the water supply. 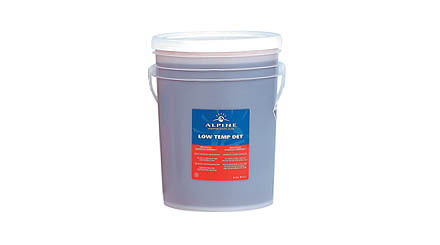 A sophisticated formulation for garments with the toughest soil loads. Designed to be gentle on fabrics and work in all temperatures. 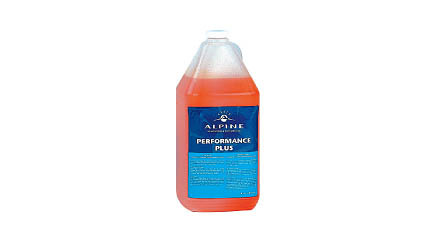 Is a high performance laundry detergent designed specifically for cleaning and stain removal in all temperatures. A concentrated fabric softener specifically formulated to eliminate static electricity and to provide a soft finish with a clean fresh fragrance. 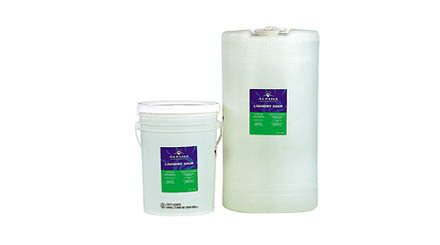 A stabilized natural oxygen bleach, a fabric and colour safe destainer. Eliminates yellowing caused by chlorine bleach. 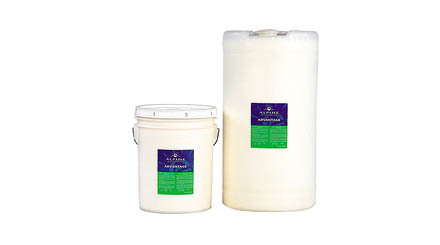 A stabilized natural oxygen bleach, efficiently removes stains on both whites and coloured fabric. 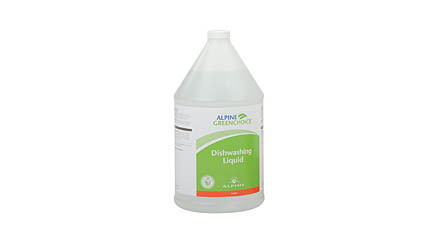 An efficient 23% hydrochloric acid bowl cleaner formulated with selected ingredients to remove scale and soils quickly. Fast working pine scent. Leaves rooms fresh smelling instantly. 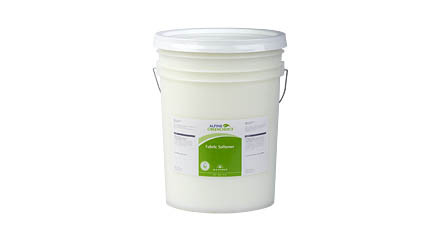 Thick creamy formula clings to vertical surfaces. Fortified with pumice for extra cleaning. 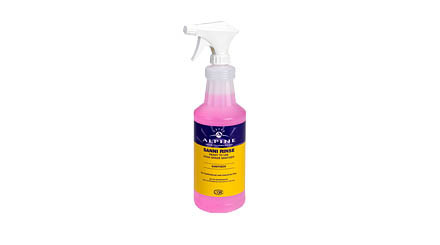 A clinging cleaner with release agents for deep cleaning safely and effectively. A versatile water soluble odour eliminator. 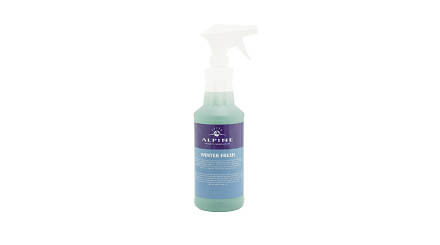 Squirt directly on source of odour or dilute with water. Long-lasting fresh clean smell. 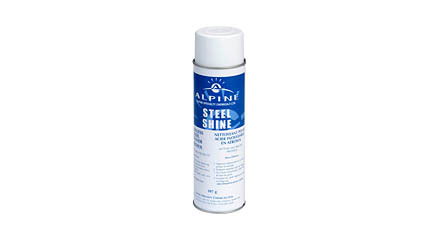 Spray on – wipe off stainless steel cleaner and polish. Leaves a bright gleaming shine. A concentrated formulation to provide safe dissolving of calcium deposits on porcelain surfaces. 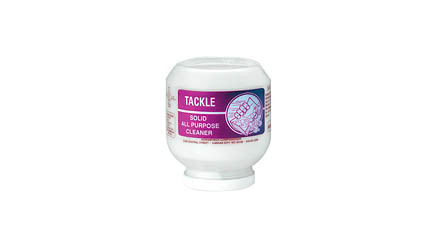 Dissolves soap scum, hard water deposits, calcium, lime and mineral deposits. 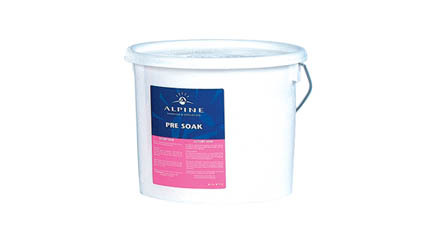 Ideal for tubs, tile showers, sinks and fixtures. Lotionized hand soap. Easy on hands, pleasant fragrance and economical to use. 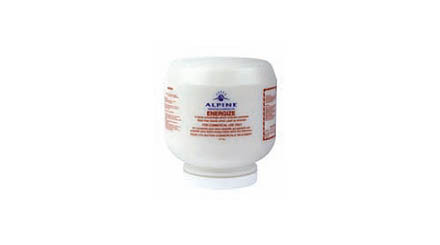 Mild on the skin, containing emollients and glycerin. It cleans, disinfects and leaves hands soft and clean. A gel form of sanitizer offers total elimination of germs and bacteria. Leaves a fresh citrus scent. Mild pleasant shampoo and body lotion that leaves skin and hair clean and fresh smelling. Safe on the most sensitive skin. Economical mild soap packaged for bag in a box dispenser. Coconut oil based thick creamy emulsion hand soap. Gentle on hands and leaves them smelling fresh and clean. 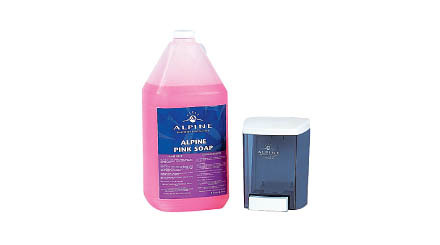 A pleasant soft on the skin foaming hand soap. Blue viscous lotion soap with a clean scent. Produces a foamy lather. Leaves hands soft and clean. A lotion soap without dyes or fragrances. 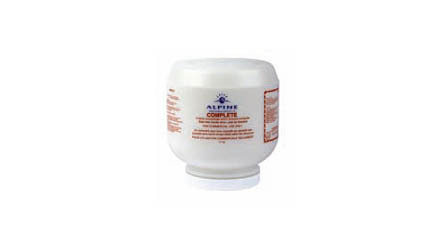 Conditioners incorporated to prevent skin dryness. 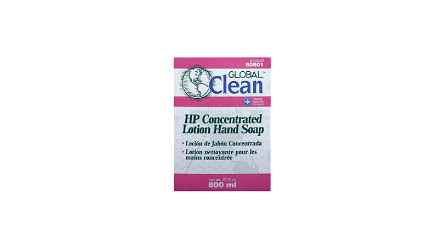 For use where ever high quality hand, face or body soap is required. To ensure first impressions are always great, choose from Alpine's broad range of janitorial products. 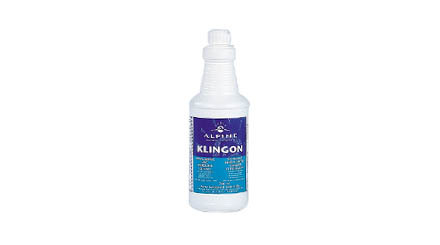 Penetrating multi-purpose cleaner. 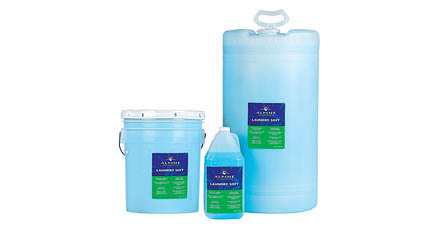 Combines surfactants and conditioners for safe effective cleaning of tough soils. 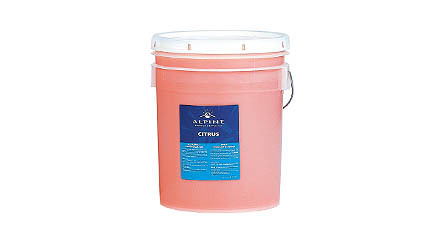 Ideal for floors, walls, furniture and more. 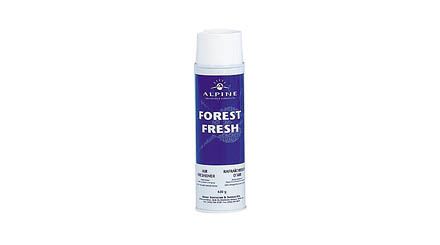 A pine scented detergent built with anionic surfactants and pH boosters for the fresh pine scent clean. 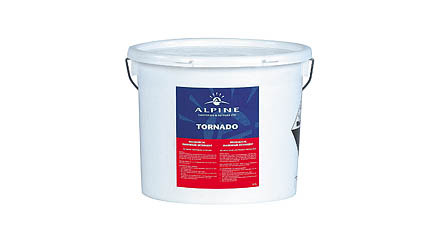 Ideal for floors, walls and more. 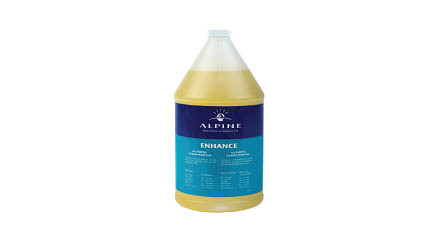 An economical effective bleach concentrate for everyday use. 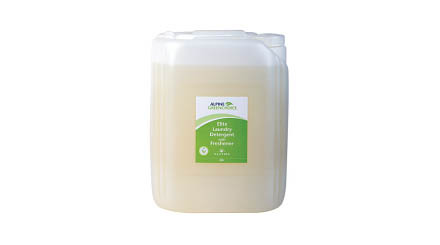 A unique blend of quaternary ammonium compounds with scented cationic detergents produces an effective cleaner and disinfectant. Ideal for tables, chairs and more. Sophisticated formulation of silicone based products to reduce foaming problems caused by soaps. 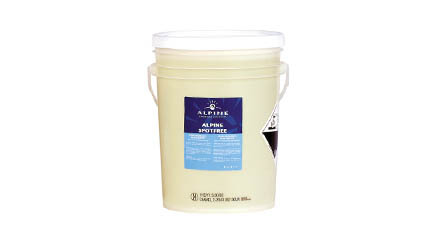 A mild effective detergent for use on floors that leaves a streak free surface. 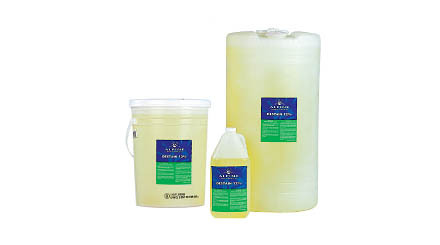 Fresh lemon scented synthetic detergent for film free cleaning. Ideal for floors, walls, tables, chairs and more. Gentle oil with pine scent incorporated into a sophisticated blend of anionic ingredients to produce a gentle on wood cleaner that's tough on oil and stains. 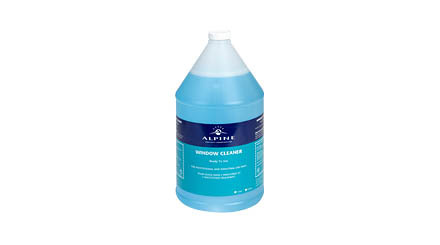 Cationic detergent combined with quaternary compounds and air freshener to produce a superlative bathroom cleaner that eliminates the need for deodorizing units. 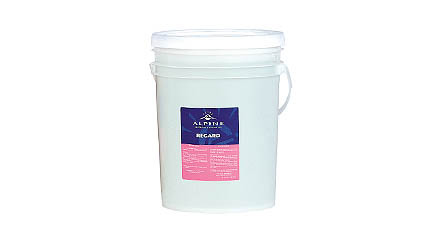 An alkaline detergent solid designed for general purpose cleaning on a wide variety of soils and surfaces. 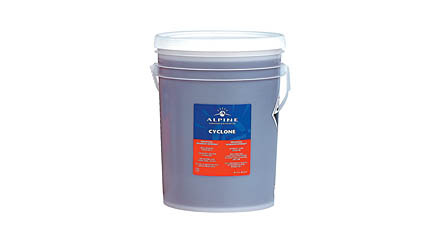 It contains special wetting agents and is dual enzyme activated to make it extremely effective for lifting and removing heavy soil accumulation quickly from floors, walls, etc. Ammoniated, streak free window cleaner. For use on windows, mirrors and any glass surface. Concentrated surfactants and petroleum distillates are blended in a specialized process to produce a superlative window cleaner. Meadow Fresh scented formulation that is an air freshener and odour counteractant. 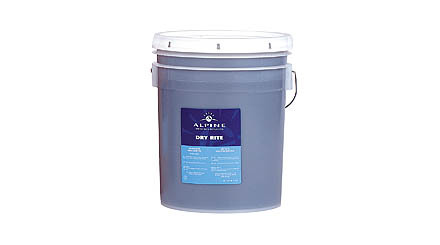 Ideal for removal of stale smoke and beer odours from carpeted surfaces. 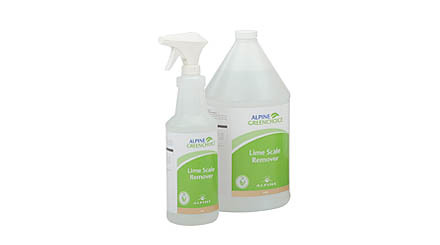 A biologically based all purpose cleaner that is safe for use in households on ceramic tile, porcelain, marble, metal, chrome, countertops, bathroom fixtures, kitchen appliances, varnished tables, and painted walls. Non streaking or filming. Excellent multi-surface glass cleaner with no streaking or filming and fast drying. 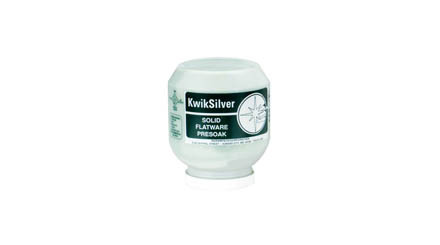 For use on mirrors, glass, countertops, automobile windows, plastic surfaces and chrome. 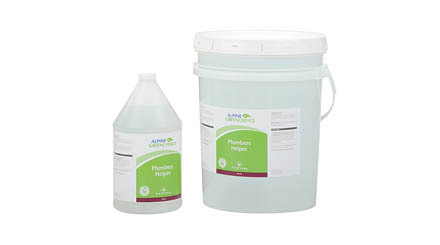 This biologically based product can be used to clean any surface water will not harm. No rinsing required. 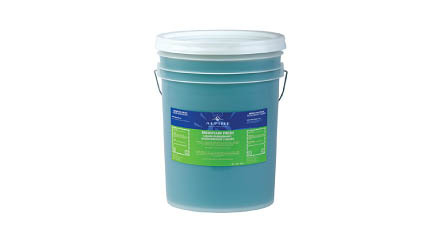 Wood Care Floor Cleaner is used to clean wood and laminate floors. 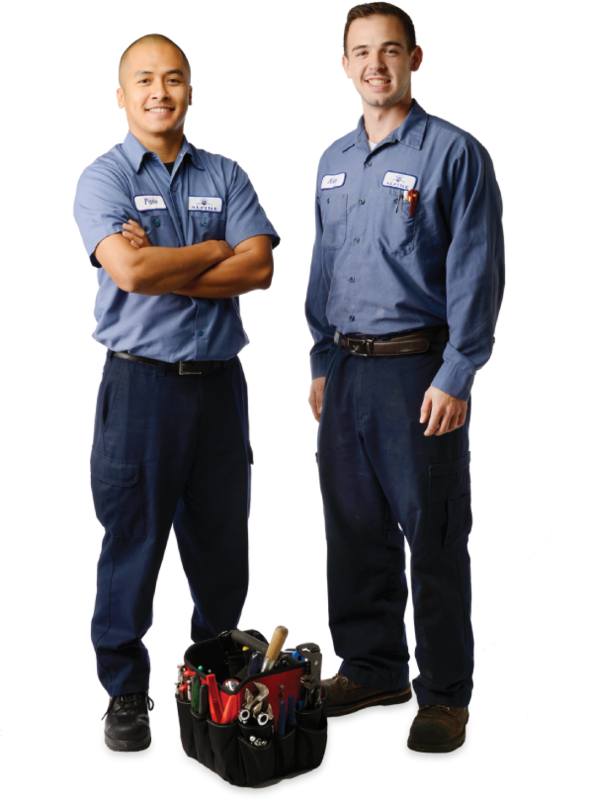 Natural solvents and sequestering agents are blended to make a powerful grease eating product that breaks up clogged grease traps and drains. 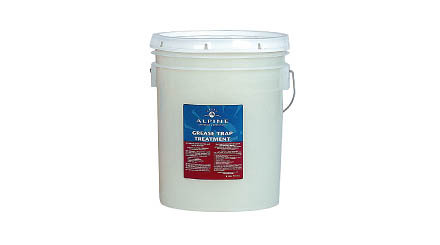 Grease Eater keeps grease traps and drains free flowing. 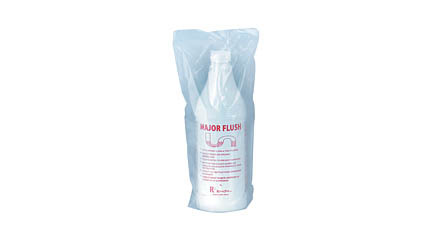 Biological grease digestant for drains and grease traps. Enzyme charged product that consumes grease and keeps traps and drains flowing. A super strength drain opener and deodorant that cleans and deodorizes in one application. Easy Flow penetrates through organic waste solids to break open clogged drains. Packaged in a convenient one-use bottle for safety. Fast acting enzyme based emulsion for clean odour free grease traps. Revolutionary enzyme action digests grease for an extended period of time. Alpine is committed to sustainable development and best manufacturing practices to better manage and utilize our world’s natural resources. We recognize that this is a never-ending journey and we will continue to expand our line of Green Choice products to meet your expectations for cleaner premises, and a greener future. 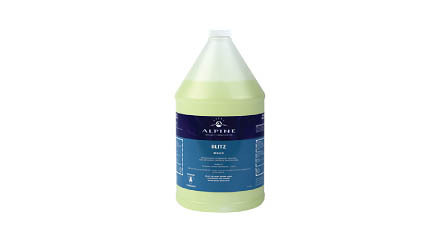 A high performance enzyme enhanced laundry detergent specifically designed for the healthcare and hospitality markets. 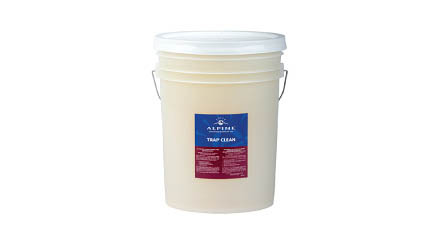 Provides great cleaning and stain removal in all temperatures. The quantity must be bigger than zero!